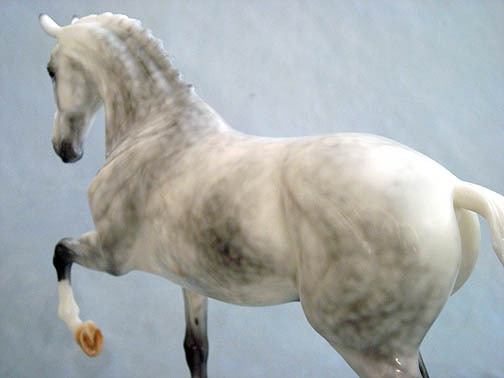 Well, I’m all set to offer for sale the dappled grey Breyer “Keltic Salinero” test color. If you are interested, go to the test Salinero page. All details and lots of good photos are there. It is not an auction. Thank you! UPDATE: This horse has been SOLD.